1. Standard pack: main machine is naked, and the computer control system is packed by wooden box. 3. We have professional technician for loading Guaranteed the goods load into container without any damage. 4. Transportation : Machines need one 20 or 40 feet container. 12 months, during the time any parts damaged because of quality problem will be changed for free. Within 45 working days after received the prepaid. Some in stock ones can be delivered at any time. 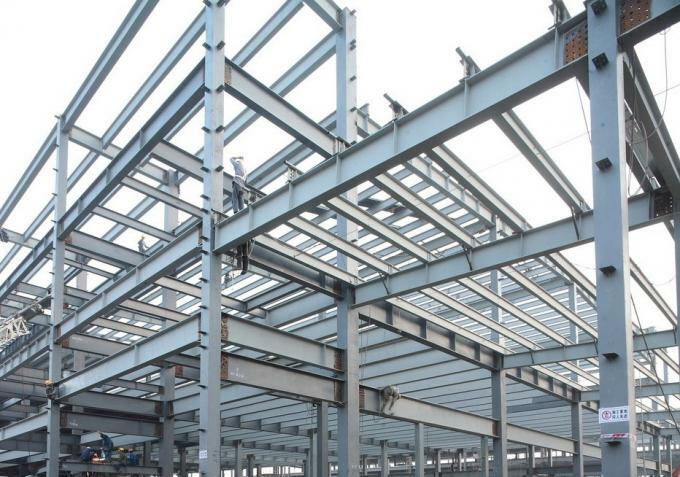 30% deposit is paid by T/T before the production, the rest paid after inspection confirmation before loading. 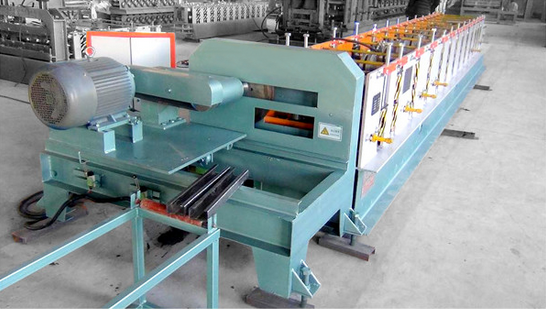 1) If buyers come and inspect our factory, the training about the install and operate wiil be provided face to face. 2) if not, the instruction manual and video will be provided to show how to install and operate. We provide a 12-hour online service for our customers. a )When technicist debug the machines at the buyer's place, the buyer should pay the expense of accommodation and traffic fee for the technicist, and pay the technicist $100 per day. b) If the buyer sends people to take the training about the operation given by the seller, during the training time, the seller will pay the expense of accommodation, and traffic fee for the buyer's people. 2. When to deliver the machine? We deliver the machine within 45 days after receiving the prepared. Some in stock ones can be delivered an any time. 3. Are you a foreign trade company or a factory? 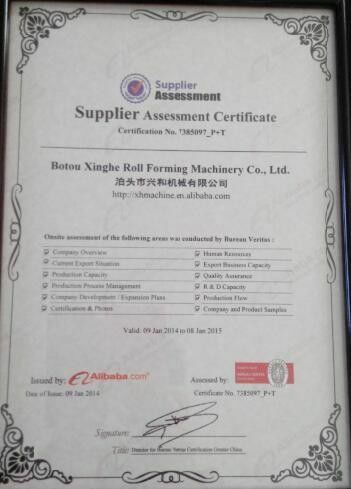 We are a factory, specialized in producing all kinds of roll forming machines. 4. How can I visit you factory? b. Fly to Shanghai Airport: By high speed train from Shanghai Hongqiao to Cangzhou Xi (about 4.5 hours), then we can pick you up. 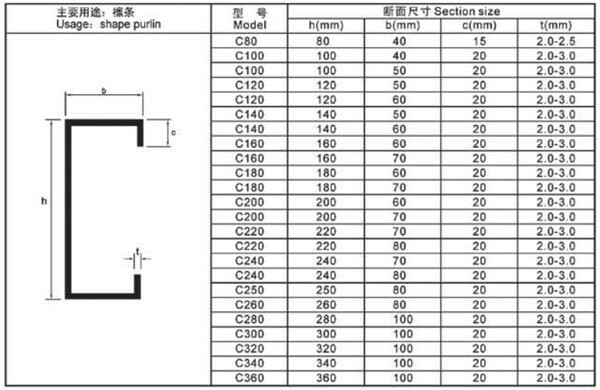 As for the quality, ISO&CE certifications have been achieved. 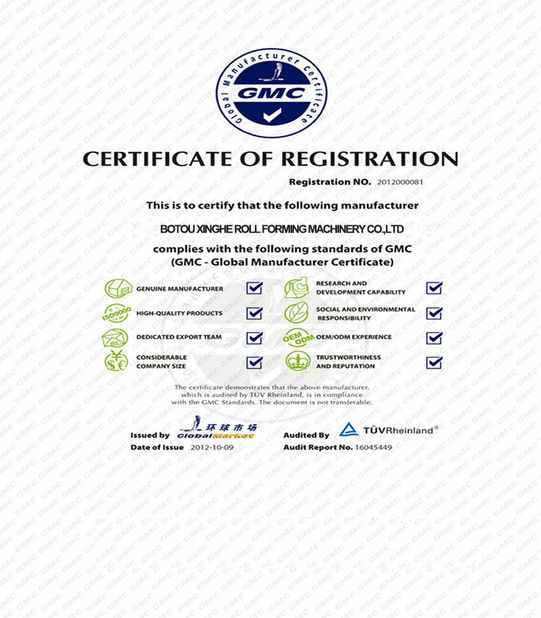 For our innovations on the machines, we also get the Certificate of Utility Model Patent from State Intellectual Property office of the People's Republic of China. And, we are Trade Assurance supplier, our customers are covered for on-time shipment, pre-shipment product quality, most importantly, alibaba.com will refund you the covered amount when we supplier does not meet the requirements in the contract, so trade with confidence. 6. What should I provide if I'd love to customize my machine? 3) Voltage: Designed as your requirements. 4) Configuration requirement: Hydraulic or manual decoiler/ stacker.